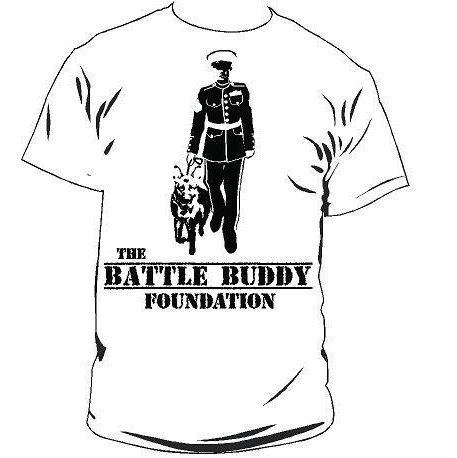 The Battle Buddy Foundation’s t-shirt is available in a variety of color combinations! It features “The Battle Buddy Foundation” across the left chest, a large logo on the back, and our website on the sleeve. All of the net proceeds go to The Battle Buddy Foundation. Buy Now (and remember to include the shipping address for your recipient).